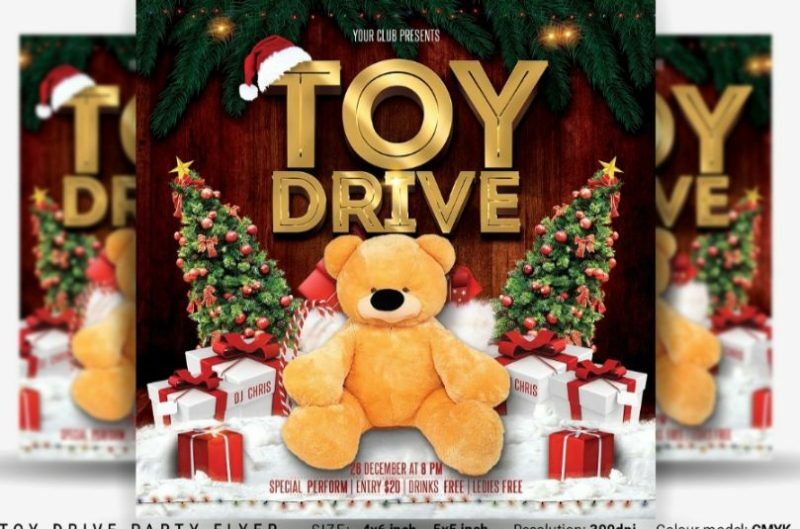 Toy drive flyers are used for promoting charity event for distributing toys among children who can not afford it. 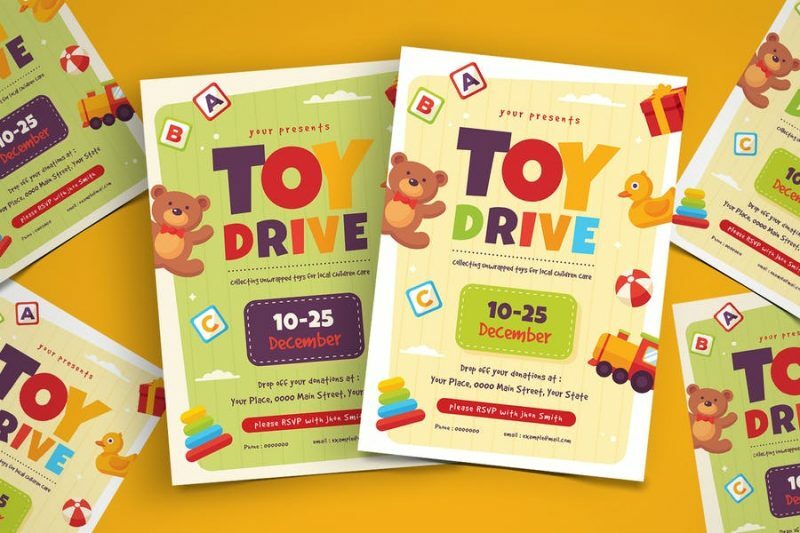 You can use these flyers to spread smiles among the poor kids. 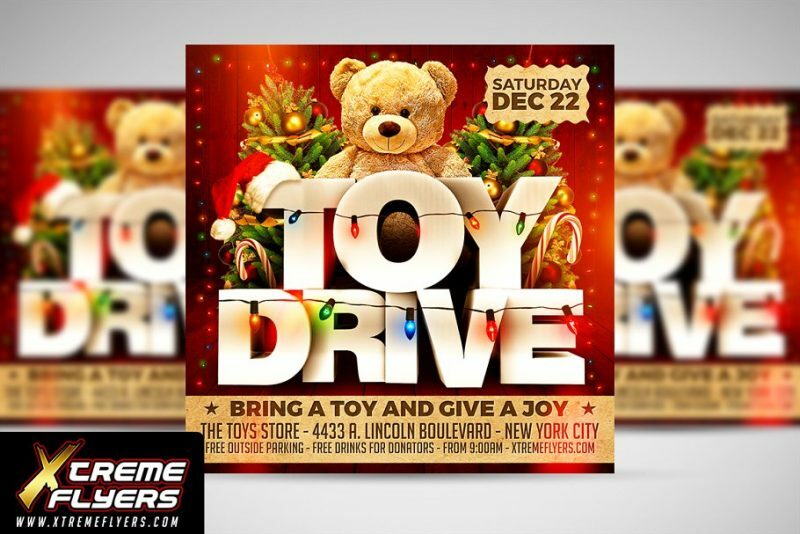 You can create an awesome looking flyer by using below presented flyer templates. You can edit all the main details of the flyer template easily by using the layers and smart feature. Images in the flyer template can be placed easily via smart objects. 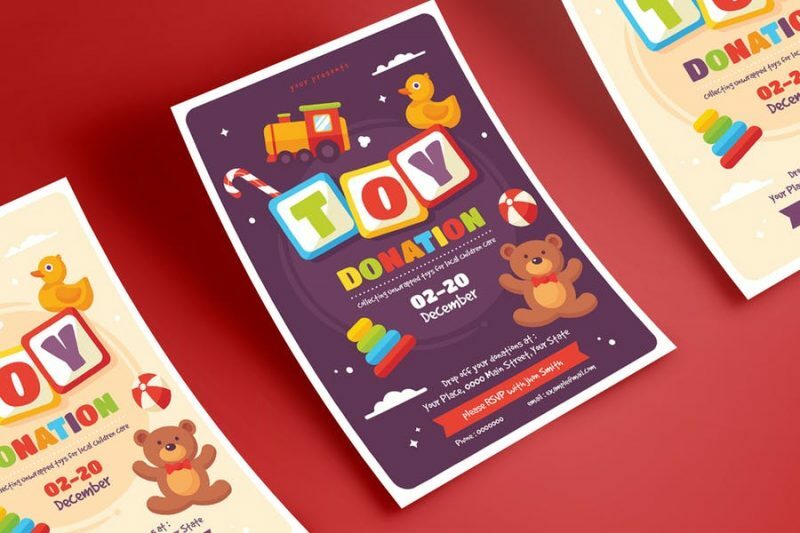 In this article we have collected different types of flyer templates for the marketing of your event. 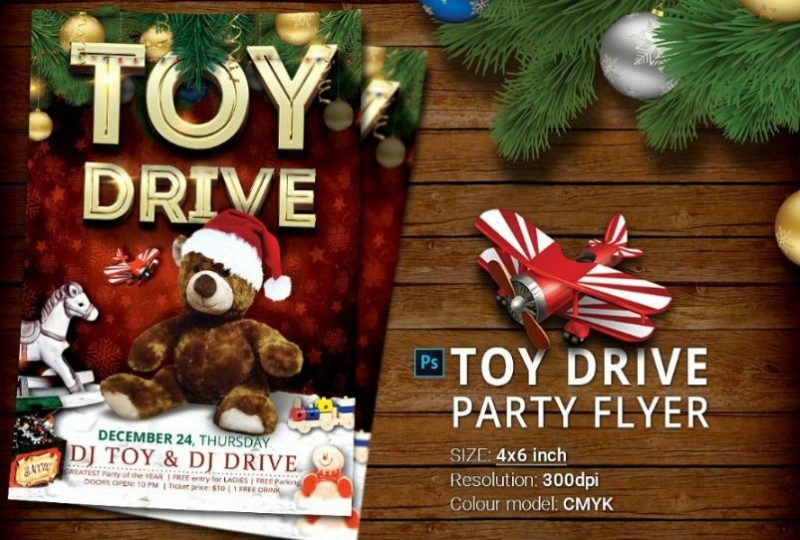 All the toy flyer templates included in the pack are completely layers. You can adjust all the details on the flyer by layers. You can place your charity drive slogan, event details and date. All the details of the fonts will be included in the download and only free fonts are use. 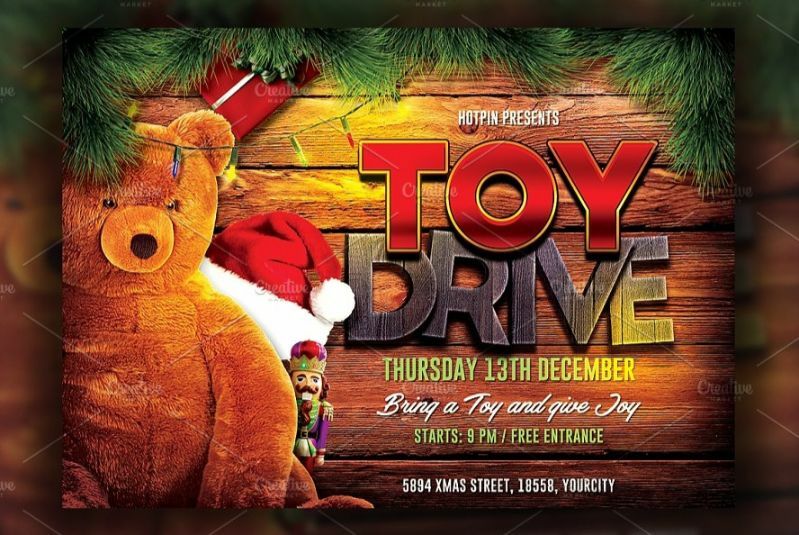 This is perfect suitable template psd for promoting the Christmas toy drive event. 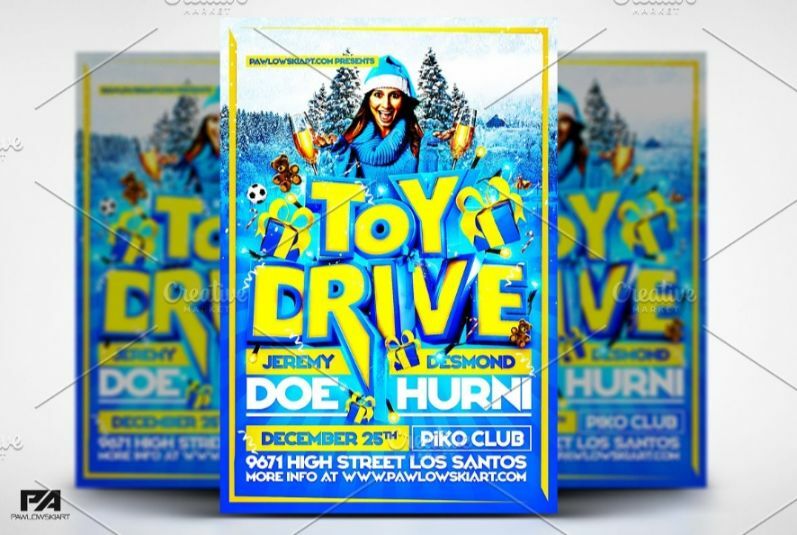 You can give a eye catching and elegant look to your flyer. All text and vectors are editable. The whole template can be taken print after designing it. This is a psd file which comes with the template dimension 7 x 5 with 0.25 bleed. All the layers in the psd file are well named and are arranged as folders. 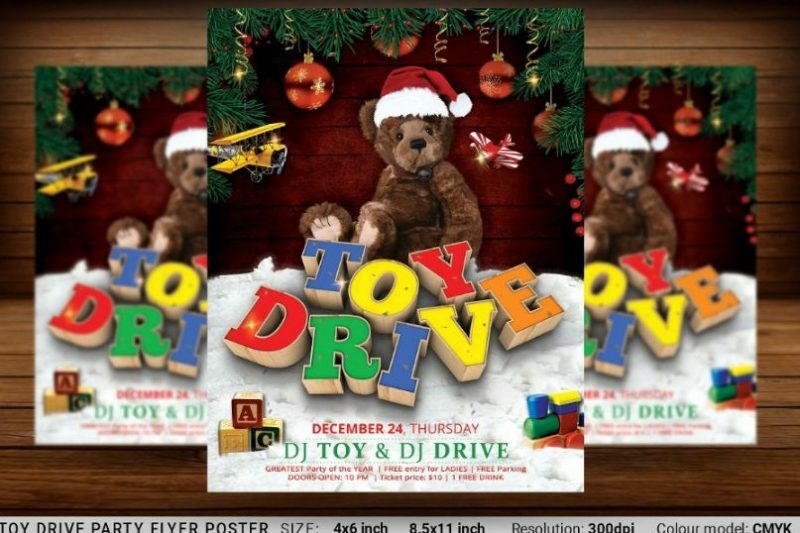 Only free fonts are used in designing these flyers. 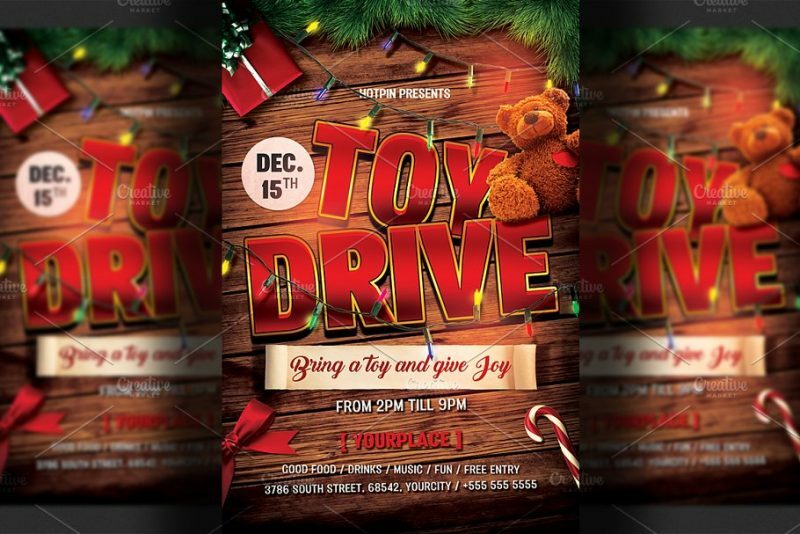 This is a very modern looking flyer psd template. All the main elements are designed as individual layers so you can customize the template easily. You get template in A4 format in CMYK color mode which will give a professional look to your print. The 300 DPI resolution of the flyer give a elegant look. 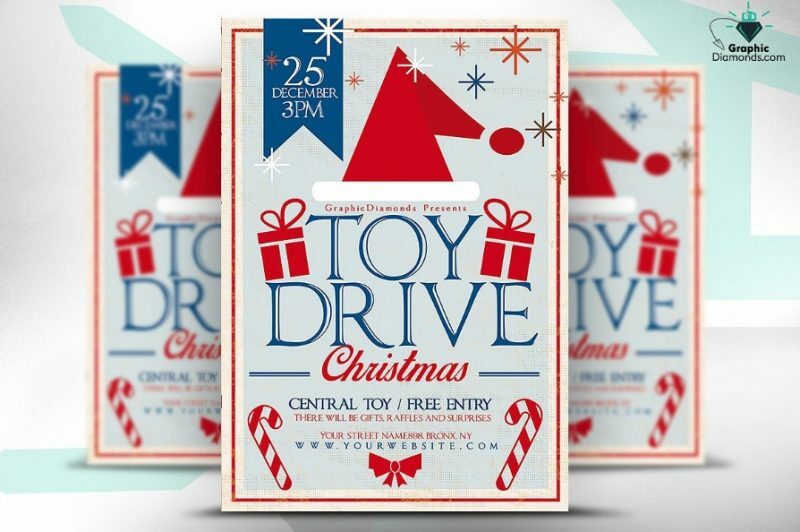 Hope you like our collection of best flyer templates for promoting a toy drive event.